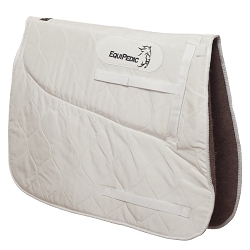 Tyler, TX (July 21, 2003) – The Certified Horsemanship Association (CHA) is pleased to announce its new partnership with EquiPedic, Inc., a revolutionary new company that creates orthopedic saddle pads for Western, English and Endurance riders. 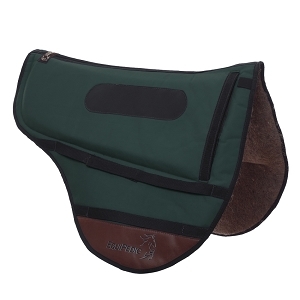 With this new partnership, CHA members will be able to purchase EquiPedic products at a reduced rate for their horses. 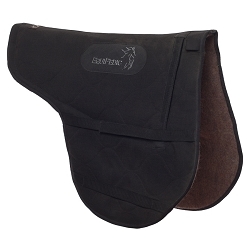 "It's thrilling to have a company like EquiPedic, which makes such quality pads that benefit both horse and rider, as a corporate partner of CHA," says Polly Haselton Barger, CHA President. "We are excited to be a partner of the Certified Horsemanship Association and be able to reach riding instructors and trail guides at this level. Just as we believe that our product should do what we say it does, riders are guaranteed the level of expertise they require when they learn from a CHA certified instructor!" says CEO Richard Sacks of EquiPedic, Inc.
CHA's mission is to promote excellence in safety and education for the benefit of individuals and group riding programs. CHA certifies instructors and trail guides, accredits equestrian facilities and provides support and educational resources for all equestrians. For more information about the Certified Horsemanship Association please visit www.cha-ahse.org or call toll free 800-399-0138. For more information about EquiPedic and its products visit www.equipedic.com. To contact EquiPedic, please call 505-523-0900 or email rsacks@equipedic.com.